Readers are looking for books on coping with anxiety and finding happiness. As our lives get busier and busier and the world seems more uncertain, Americans are turning to books to find relief from anxiety and to search for happiness. Sales for books in the anxiety category rose 26 percent over the past year at Barnes & Noble, the bookseller said Wednesday. In addition, sales for books in the "Finding Happiness" category rose 83 percent over that same span. (Barnes & Noble) Sales for books in the "Finding Happiness" category at Barnes & Noble grew 83 percent over the past year. When it comes to anxiety, readers are looking for workbooks and tool kits for coping with anxiety. In the happiness category, readers are searching for books with advice on how to think positively and how to position their lives for happiness, according to sales data from Barnes & Noble. "It's good news that people are realizing that they may be experiencing anxiety and want to do something about it," said Dr. Jeffrey Borenstein, president and CEO of the Brain & Behavior Research Foundation. "Anxiety is getting more and more attention as an important issue that needs further research and understanding of new and even better treatments." Arielle Charnas hopes "it will encourage other women to open up as well." Depression in fathers can have negative effects on a child's development. Lovato is recovering in the hospital after a suspected drug overdose. Anxiety disorders are the most common mental illnesses in the U.S., affecting 40 million adults, according to the Anxiety and Depression Association of America. Anxiety manifests itself in a feeling of angst that is subjective for each person, according to Borenstein. While all humans have some level of anxiety, it rises to another level if it becomes overwhelming and disrupts normal functions of life, including work, school and time spent with family and friends. (Barnes & Noble) Sales for books in the anxiety category rose 26 percent over the past year at Barnes & Noble. "Technology has many pluses, but one of the minuses is that we're constantly inundated with information in the news and with interactions on social media," Borenstein said. "We don't have as much of an opportunity for reprieve so I do think there's an increase in being inundated with stressors that can increase anxiety." People turning to books for help on both anxiety and happiness can be seen as a sign that the issue of mental health is becoming more accepted and openly discussed, Borenstein said. "The increase [in sales] speaks to the fact that people are more focused on their emotions and emotional help," he said. "For a long time we kind of looked at mental health and psychiatric issues on one hand and physical health on the other hand." (STOCK PHOTO/Getty Images) Sales are on the rise for books dealing with anxiety and happiness, according to Barnes & Noble. "Now people see that the brain is another organ in the body that sometimes may develop issues that need treatment, just like any other organ in the body may need some treatment," Borenstein said. The topic of mental health has been in the headlines recently with the unexpected deaths of designer Kate Spade and TV host Anthony Bourdain, both by apparent suicide. Their deaths have added to the conversation around mental health and raised awareness of the help that is available. "It's important for people to know that if they are depressed and anxious and having thoughts of wanting to hurt themselves, they should seek help," Borenstein said. "And if a person is concerned about a friend or a loved one, they should reach out to them. It can save a life." Read below for Borenstein's picks for mental health resources and Barnes & Noble's bestsellers on anxiety and happiness. "GMA" has affiliate partnerships, so we will get a small share of revenue from your purchases through these links. All product prices are determined by the retailer and subject to change. By visiting these websites, you will leave GoodMorningAmerica.com and any information you share with the retailer will be governed by its website's terms and conditions and privacy policies. Improving Mental Health: 4 Secrets in Plain Sight by Dr. Lloyd Sederer. Understanding Mental Disorders: Your Guide to DSM-5 by the American Psychiatric Association. Healthy Minds TV, a public television series (also available online) that is focused on mental health and hosted by Dr. Borenstein. The Anxiety & Phobia Workbook by Edmund Bourne. The Anxiety Toolkit: Strategies for Fine-Tuning Your Mind and Moving Past Your Stuck Points by Alice Boyes. The Anxiety & Worry Workbook: The Cognitive Behavioral Solution by David Clark and Aaron Beck. The Worry Trick: How Your Brain Tricks You into Expecting the Worst and What You Can Do About It by David Carbonell. Rewire Your Anxious Brain: How to Use the Neuroscience of Fear to End Anxiety, Panic & Worry by Catherine Pittman and Elizabeth Karle. 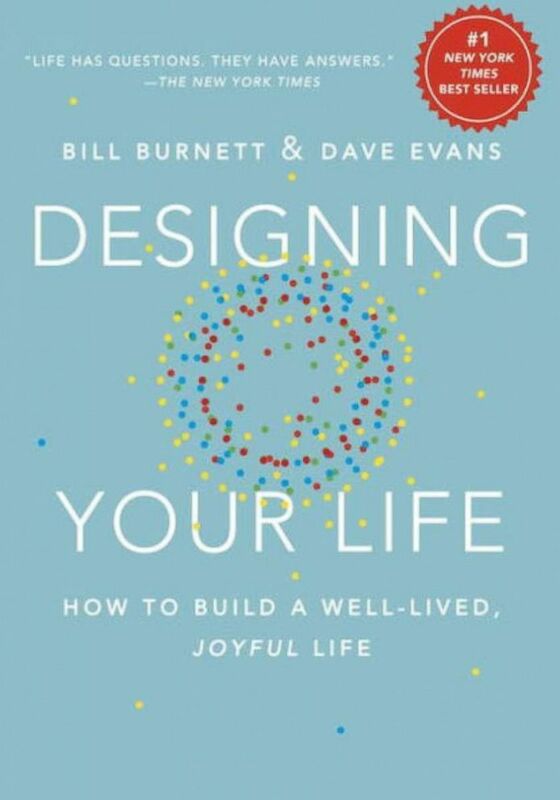 Designing Your Life: How to Build a Well-Lived, Joyful Life by Bill Burnett and Dave Evans. (Barnes & Noble) "Designing Your Life" by Bill Burnett & Dave Evans. Ikigai: The Japanese Secret to a Long and Happy Life by Hector Garcia and Francesc Miralles. The Little Book of Hygge: Danish Secrets to Happy Living by Meik Wiking. Hardwiring Happiness: The New Brain Science of Contentment by Calm, and Confidence by Rick Hanson. Buddha’s Brain: The Practical Neuroscience of Happiness, Love and Wisdom by Rick Hanson and Richard Mendius.